Swimming is the most difficult part of triathlon for me. You would think growing up in a beach area that I would have had a lot of swimming background. While it is true that I had a lot of Girl Scout and YMCA camp swim lessons, I never learned to swim in a truly efficient manner. 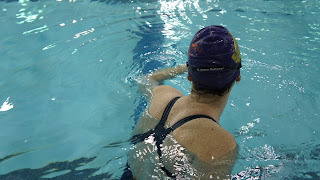 Swimming requires a lot of technique work and being as impatient as I am, it's not something that comes naturally to me. Unfortunately a lot of bad habits have set in over the past few years and I'm trying very hard to correct them this year. Some of these fixes are coming along (kicking) and some aren't coming along so well (cross over and dropping my leading arm too soon on my right side). 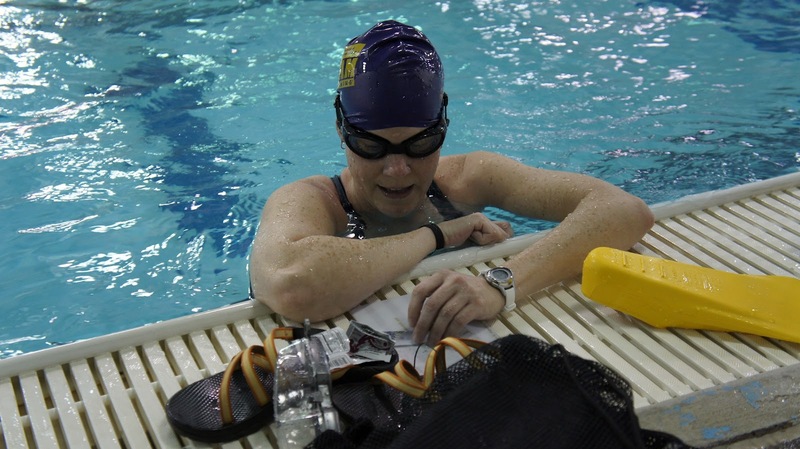 Here's what a typical training at the pool on Wednesday night looks like. 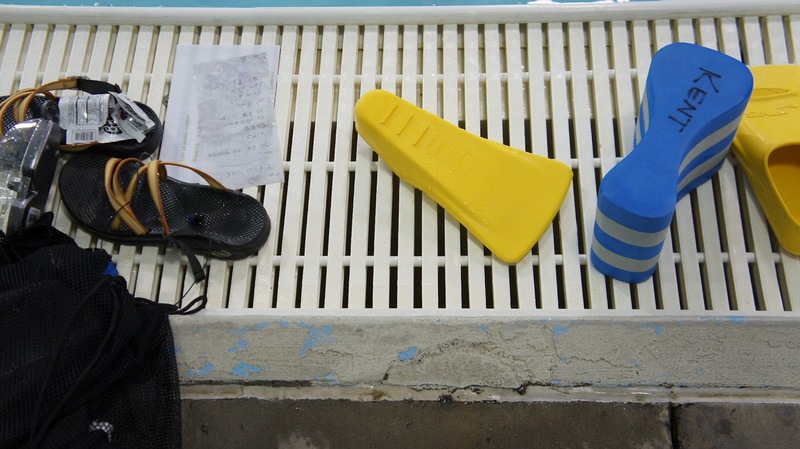 After struggling to get in a good workout at LA Fitness over the first couple of months of training I have now resorted to driving all the way up to Mountain View Aquatic Center. 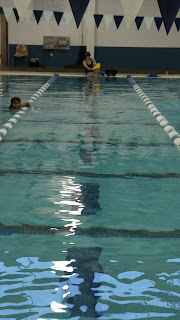 It takes me about an hour but pays off in getting a lane to myself most of the time and a nice facility. I think that's what is improving my kick. 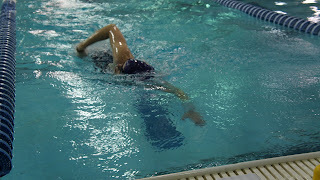 And the swimming begins - that right arm is too low in the water. 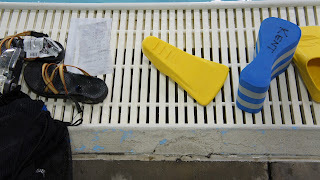 Pool side - littered with my pool toys including pull buoy and fins. Heading off low blood sugar by taking in an energy gel. And I'm off - again. 2750 yards later - done. 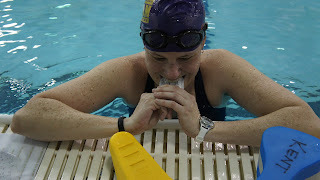 Finishing is my favorite part of a swim workout!